A day trip from Bangkok for the last day is an ideal end to your relaxing vacation. Fortunately, there are plenty of good options to discover the surrounding areas of this capital. Many of them are within few hours of the city, so you could easily get there and back in one day with an early start. How wonderful is it to be able to escape from the bustling center and enjoy green scenery and fresher air at the same time. 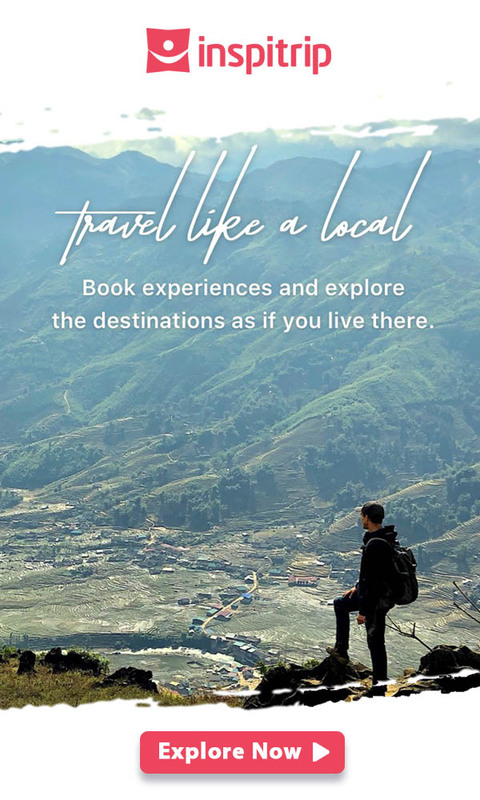 To have the best experiences, check out our 10 best day trips from Bangkok and things to do in Bangkok we recommend for you below. Located 76 kilometers north of Bangkok, the Ayutthaya ancient city was once Thailand’s capital until it was demolished during the Burmese – Siamese War in 1767. Until now, the area still boasts impressive and grand ruins of old temples and palaces of stone spread out over a vast area of 2,557 km2. 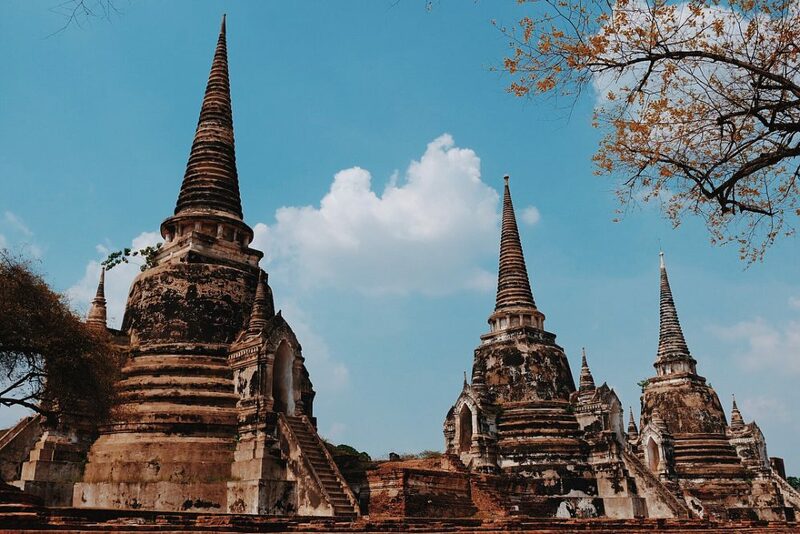 Things to do in Ayutthaya include visiting Wat Chaiwatthanaram, Ayutthaya historical park, and many other famous historic sites. Most of the temples allow free entry, the larger and more impressive ones may charge entrance fees of about 50 baht. To enjoy the ruins, you can rent a bicycle for 40 baht/ day or hire a tuk-tuk driver to take you to the main sights for about 1000 baht for 4 hours. By taxi: This is the best and fastest way for a group of travellers to get there within 1 hour, costing about 1000 – 1500 baht depending on your bargaining ability. By train: You can also take the train from Hualumphong Station, but it is a little slower – about 2 – 2.5 hours, depending on which service you choose. Second class seats (with A/C) cost 245 baht, third class is just 20 baht. Curious about the secrets of ancient Thai kingdom? Unlock the mystery with Inspitrip now! Besides Ayutthaya, this is another highly recommended historical option. The highlight of this city is “The bridge on the River Kwai” – the main setting in an epic war film of the same name that won the Oscar in 1957. 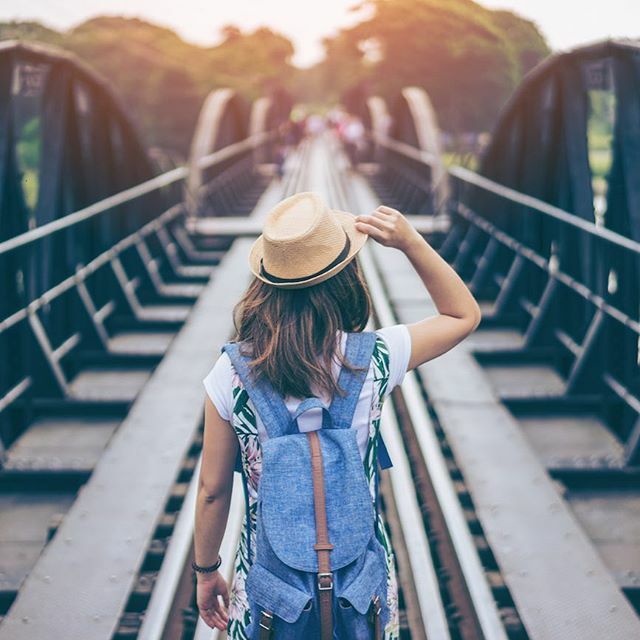 Though Kanchanaburi’s bridge is the biggest attraction, it is actually only a small part of the huge area, which also hosts Erawan National Park, Hellfire Pass Memorial Museum, Death Railway Museum, and much more. On a day trip, you’ll be rushed trying to see so many attractions. By bus: Frequent buses (number 81) depart from the Southern Bus Terminal (Sai Tai) every 20 minutes throughout the day at a cost of 99 baht for the first class bus. It takes about 2.5 – 3 hrs to get to Kanchanaburi. By train: There are two daily trains that depart from Thonburi station (Bangkok) at 7h50 am and 1h55 pm. The duration of the trip is about 3 hrs or even more because these trains usually arrive late. Visit the renowned setting of the bridge of River Kwai now! 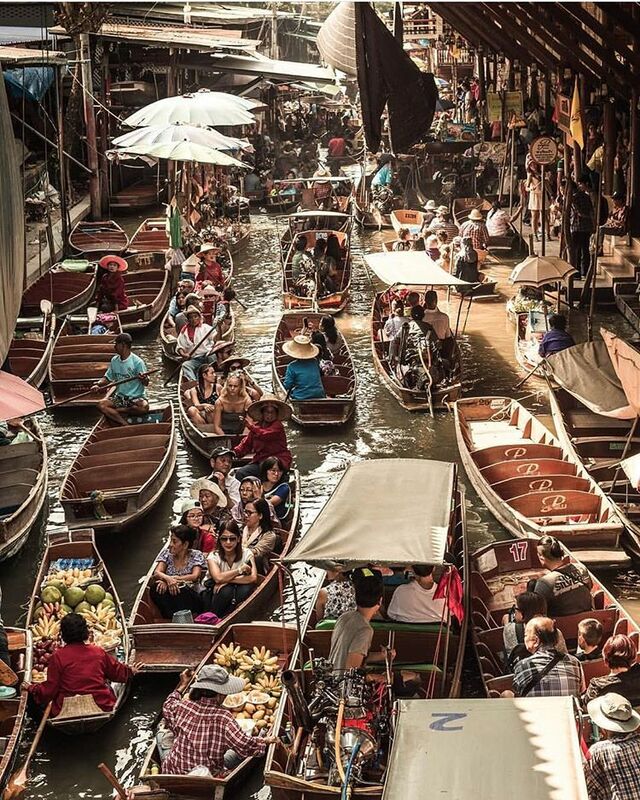 Located about 105 km southwest of Bangkok, Damnoen Saduak is one of the oldest floating markets in Thailand. Wandering along the banks of the narrow canals, you can find a variety of souvenir items like local handicrafts, assorted silks, handcrafted jewelry,… and many other tasty dishes, including coconut pancakes, boat noodles and coconut ice cream. The best time to visit this market is in the early morning, when you can see the locals going about their lives, before all the tourists come and the market becomes a tourist trap. How to get there: You can take the buses leaving from Bangkok Southern Bus Terminal with the cost of 50 baht and the duration of the trip is about 3 hrs. 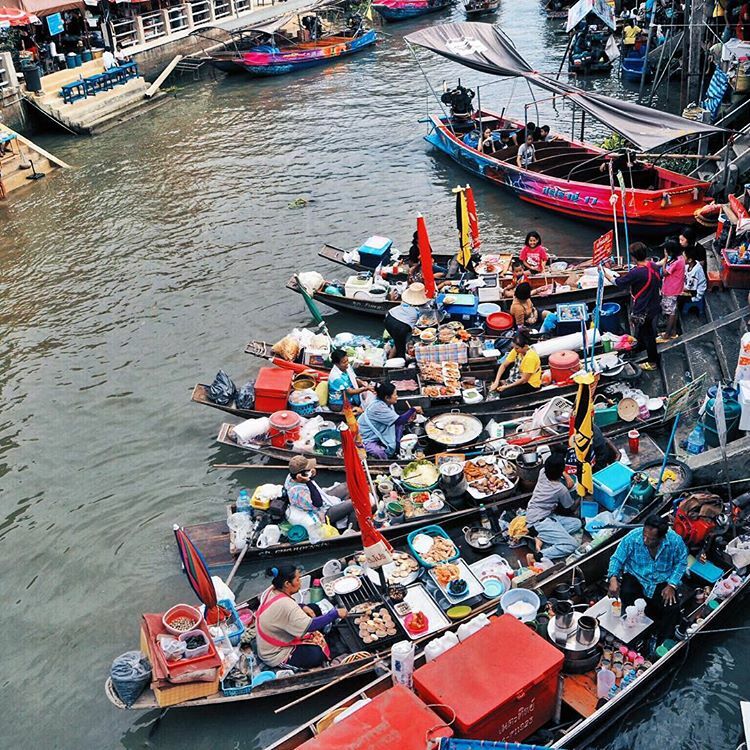 Experience the life on waterways in Damnoen Saduak, the largest floating market now with Inspitrip! Amphawa Floating Market is getting more attention for its original beauty as not yet being overrun by travellers. Meeting on a small canal with a peaceful setting, the market is often open from 9am to the evenings of the week (Friday to Sunday). 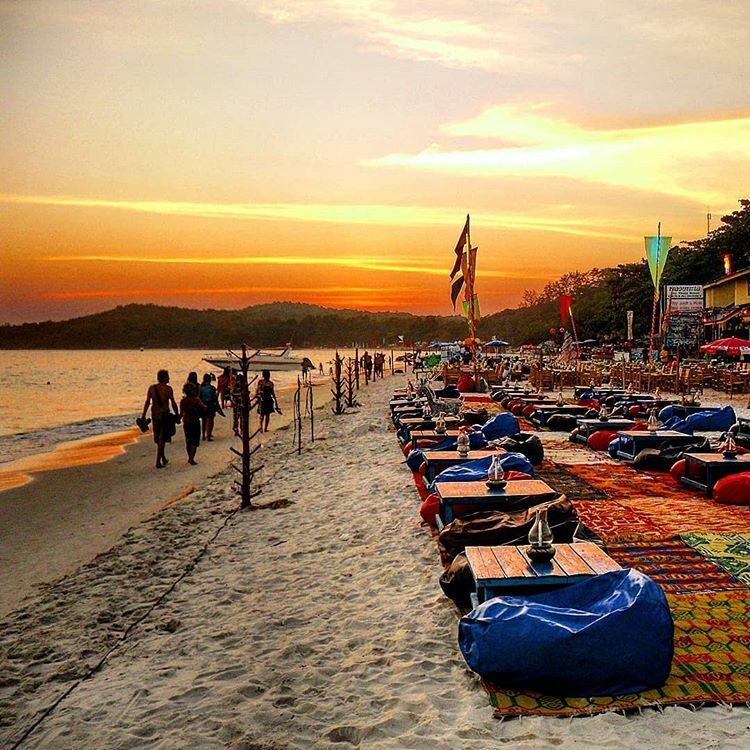 However, the busiest time is often around noon, when lots of tourists come for delicious and flavorful dishes like Pad Thai, Tom Yum or Papaya, and especially fresh seafood. After the meal, you can spend the rest of the day shopping and getting a classic Thai massage on a boat at 200 baht for one hour, or even take a longboat ride to discover the surrounding area. How to get there: You can take the buses departing from the Southern Bus Terminal to Samut Songkram town (aka Maeklong), then take a local songthaew to Amphawa for only 8 baht. Totally, it takes you about 90 mins to arrive there. Visit Amphawa floating market, the Venice of Bangkok with Inspitrip now! Entrance fee: 400 baht/ adult and 200 baht/ child. “Khao Yai”, in Thai language, means “the big mountain”. Covering an area of about 300 km2, this is the third largest and one of the most visited national parks in Thailand, comprising of evergreen forests and grasslands. The average height of the park ranges from 400 to 1,000 m above the sea level and the highest mountain is Khao Rom (1,351 m). The park is home to 3,000 species of plants, 320 species of birds and 66 species of mammals. 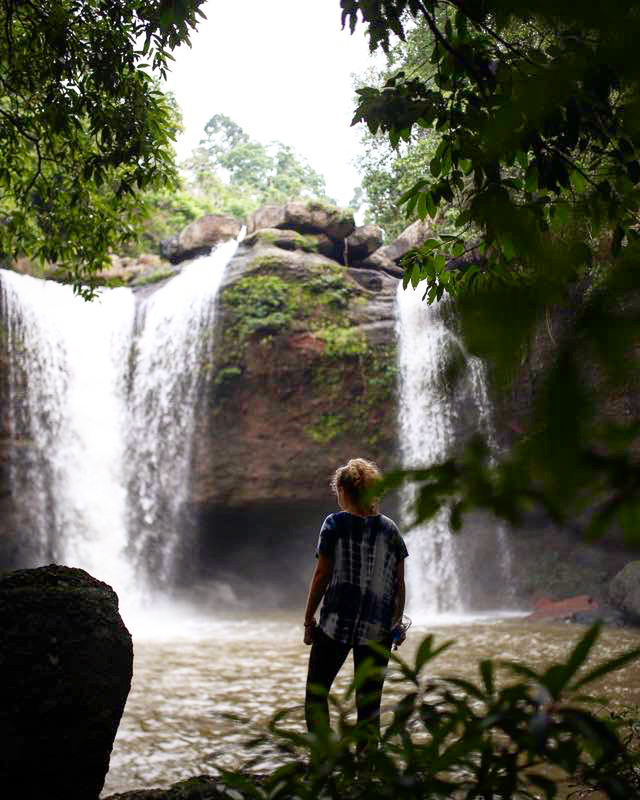 In addition, there are also many waterfalls, the most famous one being Haew Narok. How to get there: It takes you about 3 hrs to get there by bus departing from the Mo Chit bus station to Pak Chong, then change to songthaew that takes you to the checkpoint in the park. 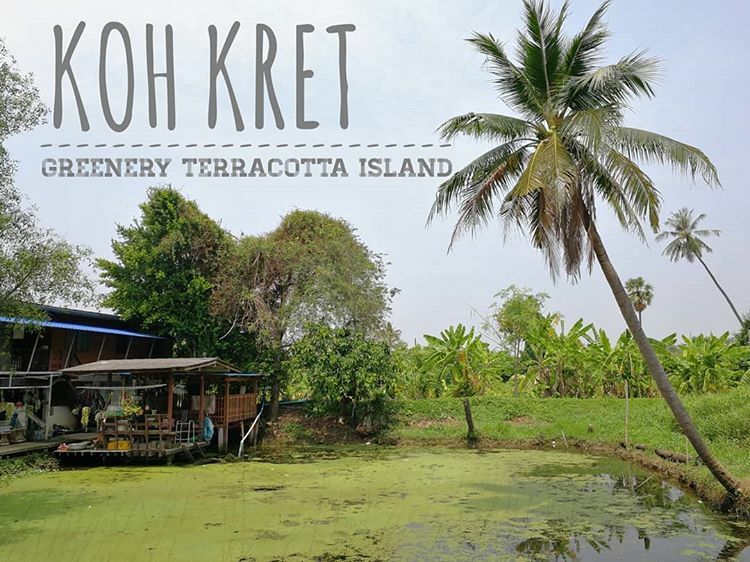 Situated about 20 km north of central Bangkok, Koh Kret is a man-made island and one of Thailand’s oldest settlements of Mon people. The island is famous for its exquisite pottery – made from the skilled hands of the Mon potters, its rural atmosphere and its busy weekend market. Be sure to pay Wat Paramaiyikawat a visit too, a Buddhist temple with a 200-year-old golden stupa, said to contain the Buddha’s relics. Because of the narrow roads, the best way to explore the island is by bicycles or motorbikes. How to get there: Take a express boat to Nonthaburi pier and then catch a taxi to Wat Sanam Nua, Pak Kret. From the temple, there’s a 4 baht ferry to Ko Kret. Located an hour’s drive away from Bangkok, the Rose Garden is open from 8am – 6pm every day. Contrary to its name, the Rose Garden is not simply just a botanical garden. The most popular attraction here is a theatrical performance of traditional Thai folk dancing, Thai boxing, sword fighting, and an elephant show. There are also many hands – on activities for you to learn the Thai culture, such as planting rice in the rice paddy, bamboo dancing, or carve a flower out of a carrot. How to get there: Take a bus line number 123 (non-air conditioned) from Tha Chang and stop at the Rose Garden. The Ancient City – also known as Ancient Siam, is about 33 km southeast of central Bangkok, which is equivalent to 1 hr to get there by bus. This is one of the the easiest, nearest options on this list of Bangkok day trips for a pleasant escape. 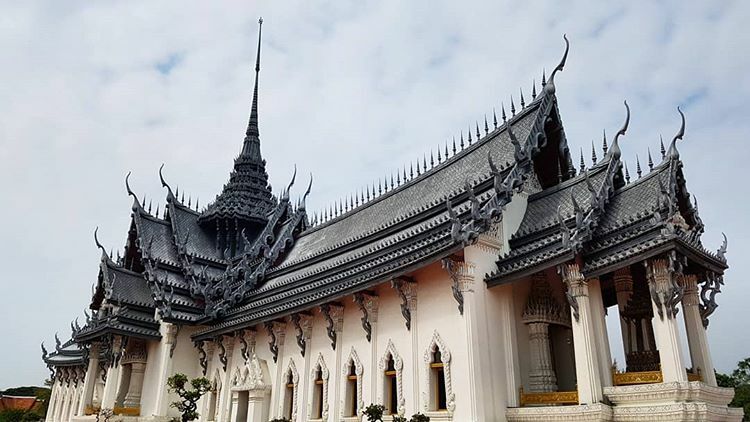 Covering an area of 240 acres, this is one of the largest outdoor museums in the world – featuring many facets of Thai history and architecture with photogenic monuments, temple replicas, Buddha statues, and gardens,.. In fact, the entire park is actually shaped like Thailand. How to get there: From the nearest skytrain station, you take the BTS to On Nut and then switch to a taxi. Tell the driver you want to visit the Ancient City (Muang Boran). Bangkok’s green getaway within only three hours, Koh Si Chang is a small island that houses several beaches with clear waters. 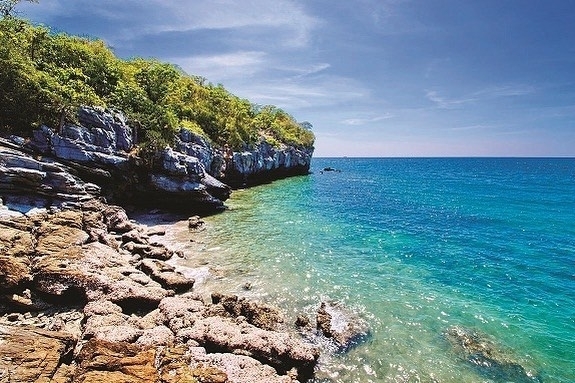 While many of the smaller beaches are pristine and as yet untouched, Taam Phang is by far the most popular one. Remember to be careful when swimming because there are few rocks under the water. In addition, Koh Si Chang is also home to a royal summer palace no longer in use, a small community, temples, and several interesting caves. How to get there: Take a bus from Bangkok’s Northern Bus Terminal or Eastern Bus Terminal to Sri Racha. From there, take a tuk-tuk to the Ko Loy pier for 50 baht. Ferries to Koh Si Chang leave hourly and would take about 40 minutes at a cost of 50 baht/ person each way. How to get there: Take a bus for about 250 baht from Bangkok’s Northern Bus Terminal to Ban Phe, then transfer to a ferry for the short hop to the island.